Protect yourself and your family by using our intumescent foam to seal gaps in fire-rated structures. 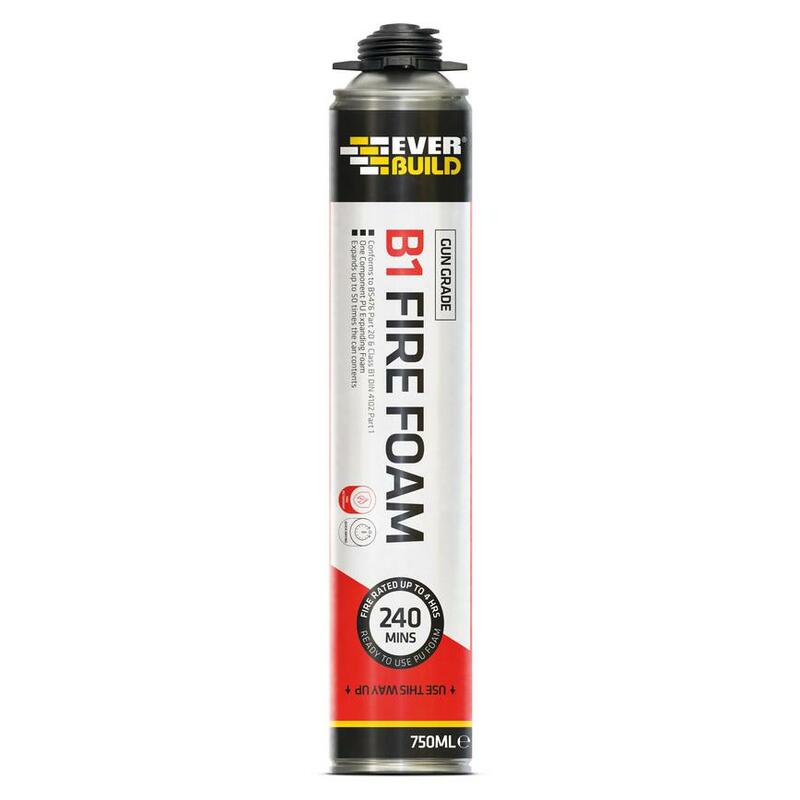 A quick-setting, fire-rated one-part polyurethane foam, Everbuild Hand Held B1 Fire Rated Expanding Foam is used to seal small gaps around fire doors, window frames, or other fire-rated structures. Fire rated up to four hours in certain joint configurations, it can be cut, sawn or plastered over approximately one hour after curing. Expands on application by up to 50 times its original volume.